The US Ordnance M1921 Medium Tank was developed by the US Army Ordnance Dept, rather than by a private company to produce an indigenous tank to replace the British and French light/medium tanks that the US had acquired during World War I. Due to the lack of interest in Armoured Fighting Vehicles after the war, combined with defence cuts, there wasn’t much cash available for the development or production and the vehicle was fairly dated such as its riveted construction. 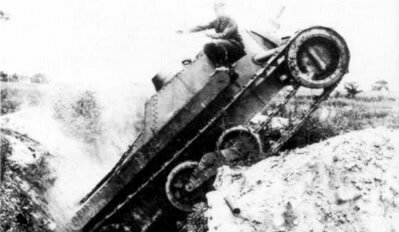 The vehicle was developed further in to the M1922, which had a lengthened hull and raised rear to increase its trench crossing capability. Neither vehicle entered production.